If you’re looking for a gorgeous getaway then be sure to check out the awesome deals over at TUI Holidays. 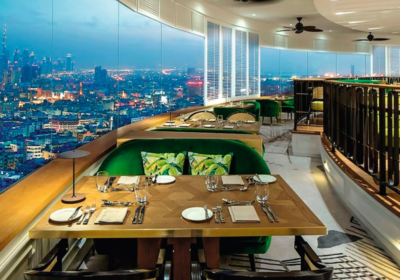 With its sky-high rotating restaurant, glass-walled bar and rooftop pool, this place makes sure you’ve got plenty of skyline-viewing spots. The Hyatt Regency Dubai has secured a spot in the city’s historic Deira district. It takes 10 minutes to walk into downtown Deira, which is dotted with restaurants. Plus, it’s a couple of minutes’ walk to a metro station, so all of Dubai’s big-hitter sights are within reach. Decor-wise, luxury takes a front seat at this hotel. The high-ceilinged lobby’s decked out in white marble, and potted palms add a dash of colour and character. The hotel’s made up of two main buildings, ringed by green gardens. It’s worth noting that there are extra hotel fees that you’ll be asked to pay on check-in or check-out. We’ll let you know how much these are when you come to book. You’ll also need to pay a security deposit by cash or credit card on arrival – this will be refunded on check-out as long there are no charges or damages to your room. 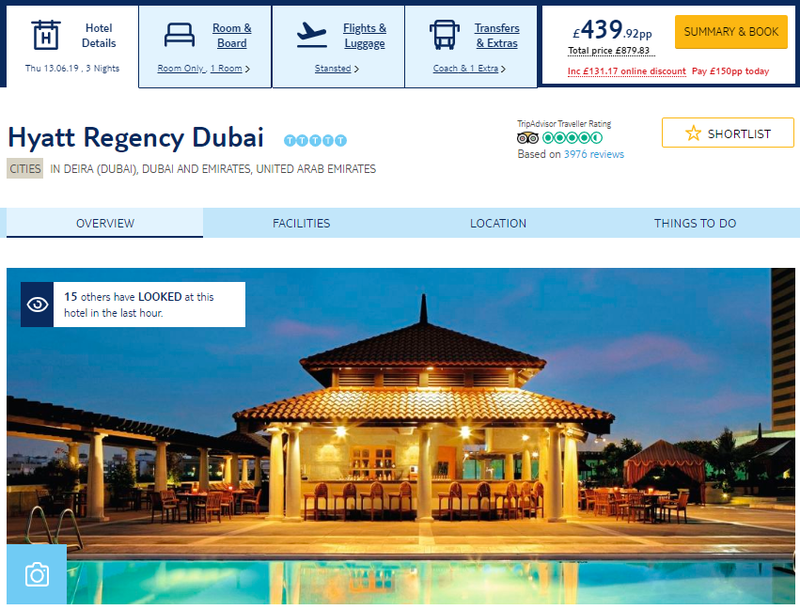 The Hyatt Regency Dubai Hotel has outstanding reviews over on TripAdvisor and an average rating of 4.5/5 which you can check out HERE.